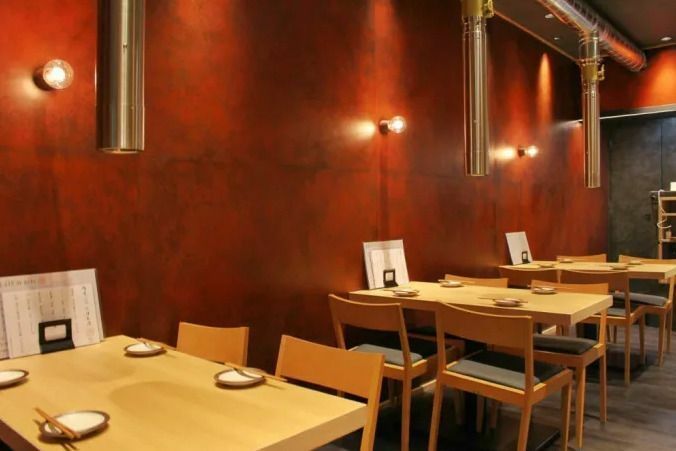 Kamoya SUN is located just a 3-minute walk from Ningyocho Station. 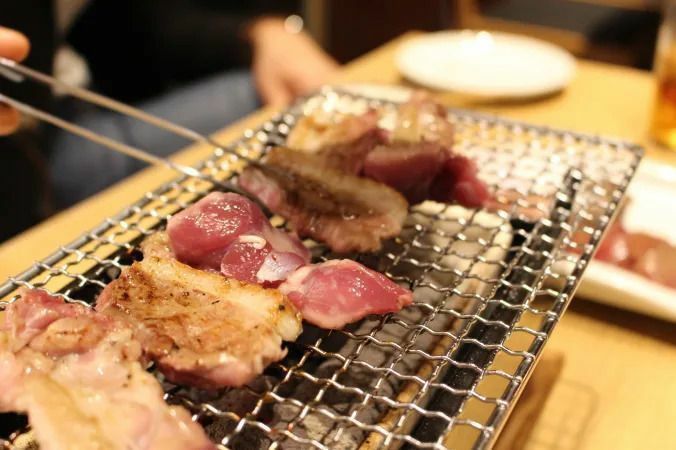 It's Japan's first ever yakiniku restaurant specializing in duck! It has already gathered many praises not only because of the innovative concept but also because of the succulent Japanese brand of duck called Aichi Kamo that they serve. Ordering an assortment of four different cuts (¥3,800) could be a good start. Each table is equipped with a charcoal brazier so you slowly cook the meat yourself to your liking. 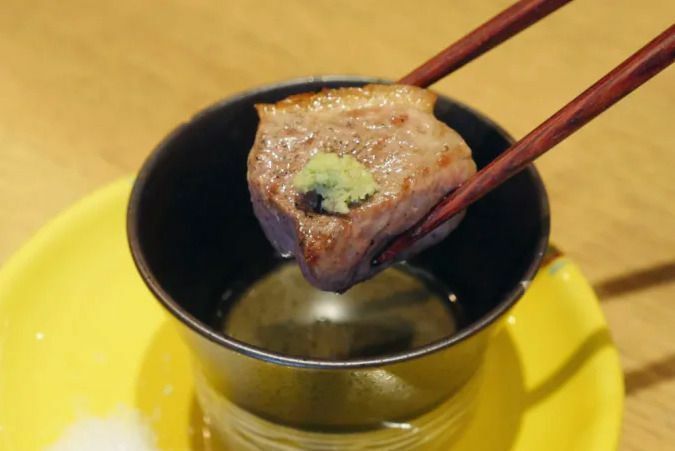 There is wasabi, salt, and white soy sauce to use as a condiment for the duck meat. There is a gentle sweetness to the white soy sauce that goes so well with this duck. 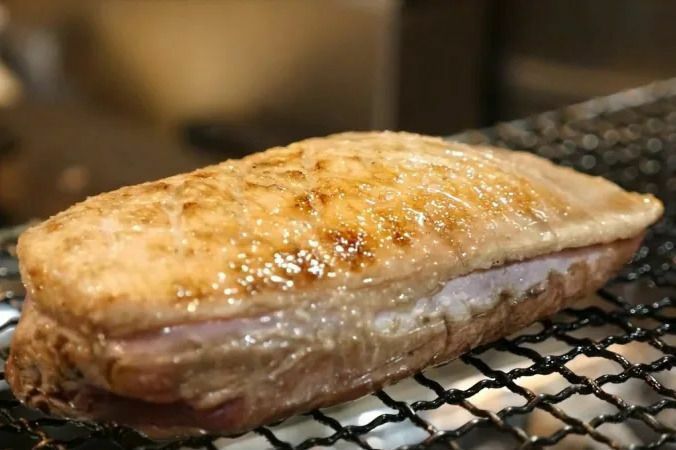 This full duck breast (¥3,800) is another popular item. Unlike the previous set, this one is slowly cooked in the kitchen by the chef on a grill over charcoal. It takes about 30 minutes for it to be done. Served with some salt and wasabi, this one is not too oily yet super juicy, tender, and packed with savory umami. 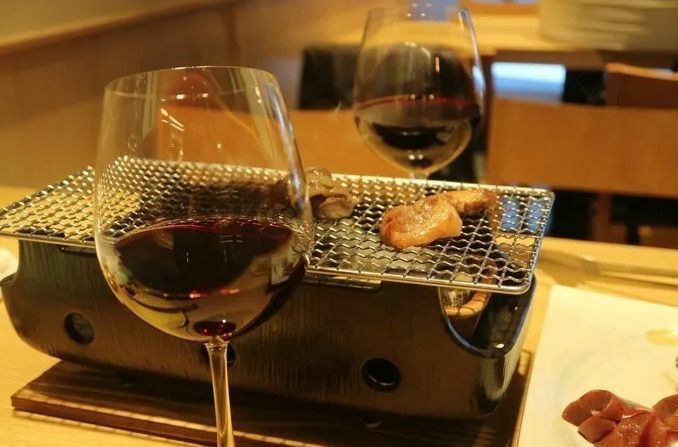 Duck meat yakiniku goes wonderfully well with red wine. The restaurant has a good selection of wines so do not hesitate to ask for some pairing recommendations.